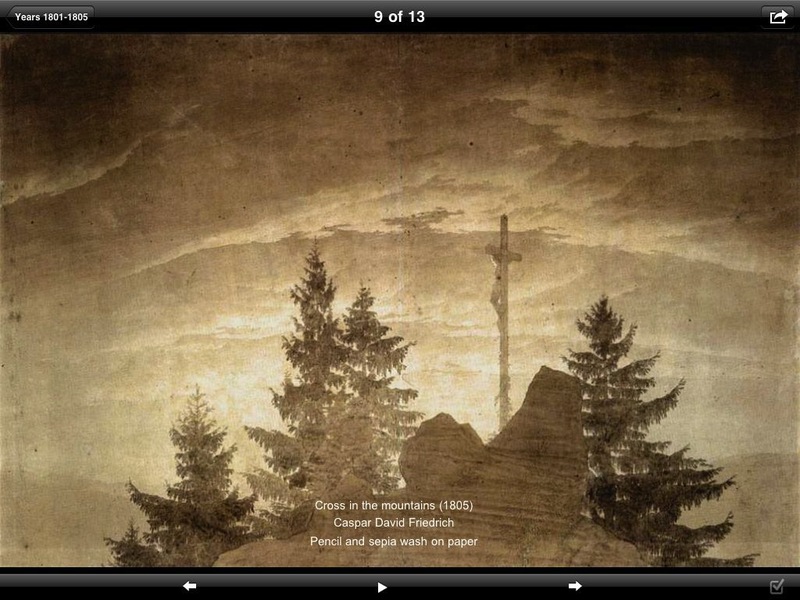 In this FULL VERSION, designed for iPhone® and iPad®, you will find 69 drawings by the great Caspar David Friedrich. Enjoy the high quality images of his drawings, share them with your friends via email, and learn about the artist life. 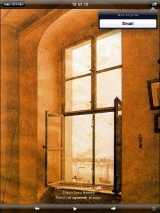 Caspar David Friedrich (1774 – 1840) was a 19th-century German Romantic landscape painter, generally considered the most important German artist of his generation. He is best known for his mid-period allegorical landscapes which typically feature contemplative figures silhouetted against night skies, morning mists, barren trees or Gothic ruins. 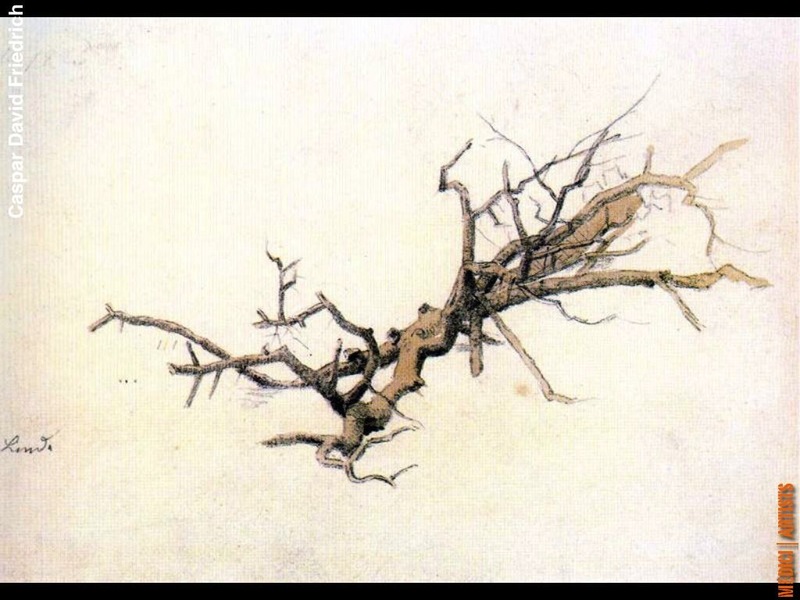 His primary interest as an artist was the contemplation of nature, and his work seeks to convey a subjective, emotional response to the natural world. Friedrich’s paintings characteristically set a human presence in diminished perspective amid expansive landscapes, reducing the figures to a scale that directs the viewer’s gaze towards their metaphysical dimension. 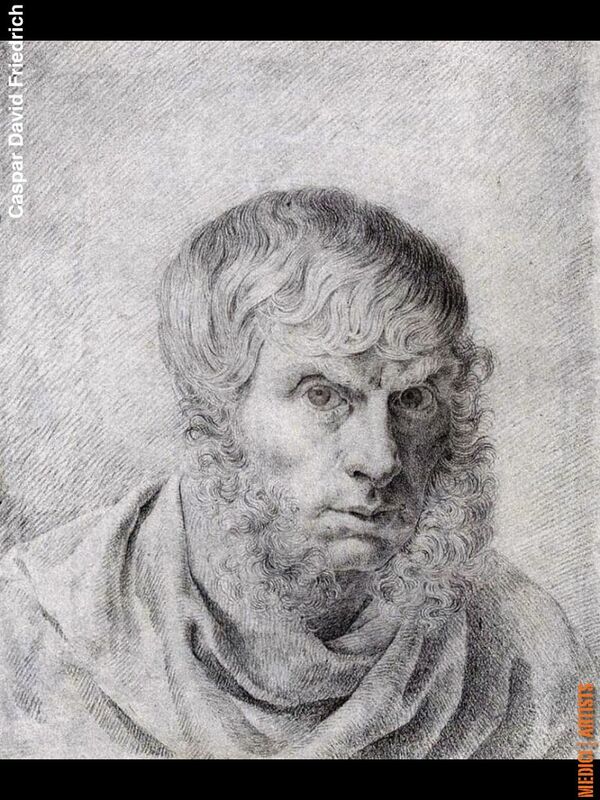 He gravitated toward working primarily with ink, watercolour and sepias, and he did not work extensively with oils until his reputation was well established. 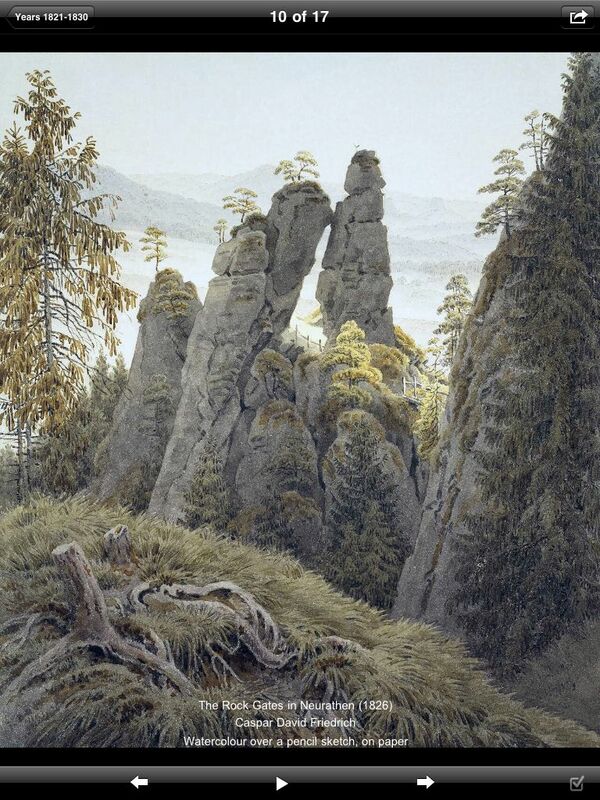 The visualisation and portrayal of landscape in an entirely new manner was Friedrich’s key innovation. 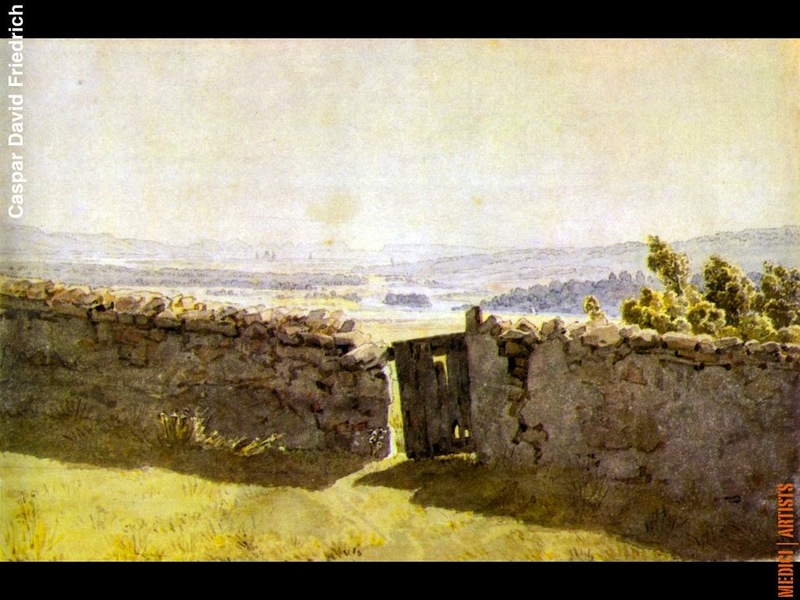 He sought to examine an instant of sublimity, a reunion with the spiritual self through the contemplation of nature. 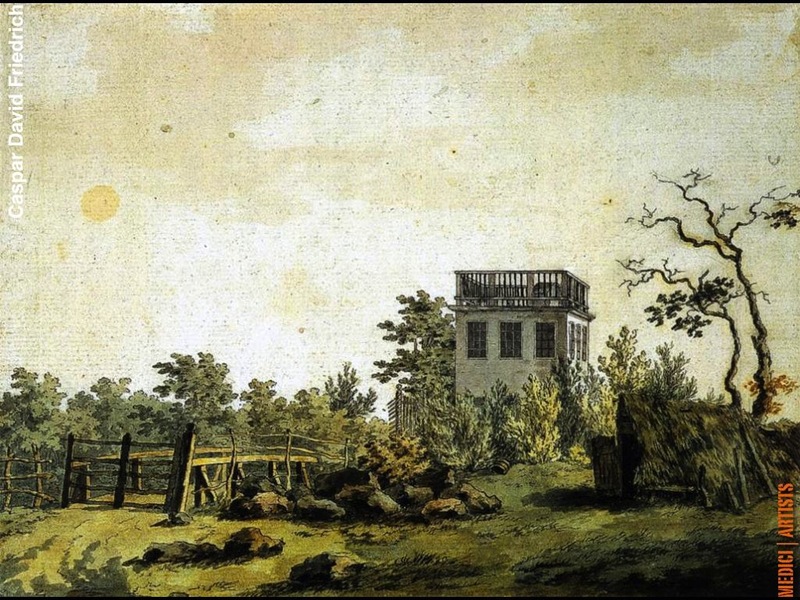 He was one of the first artists to use the landscape to express religious themes, mysticism and even political symbols solely by means of the landscape. 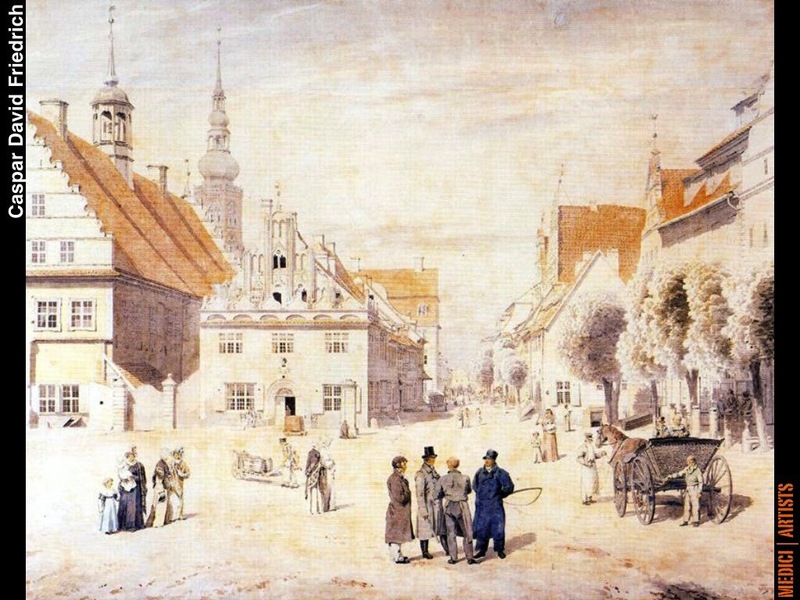 Friedrich’s work brought him renown early in his career, but his work fell from favour during his later years (he died in obscurity) as Germany moved towards modernization in the late 19th century. 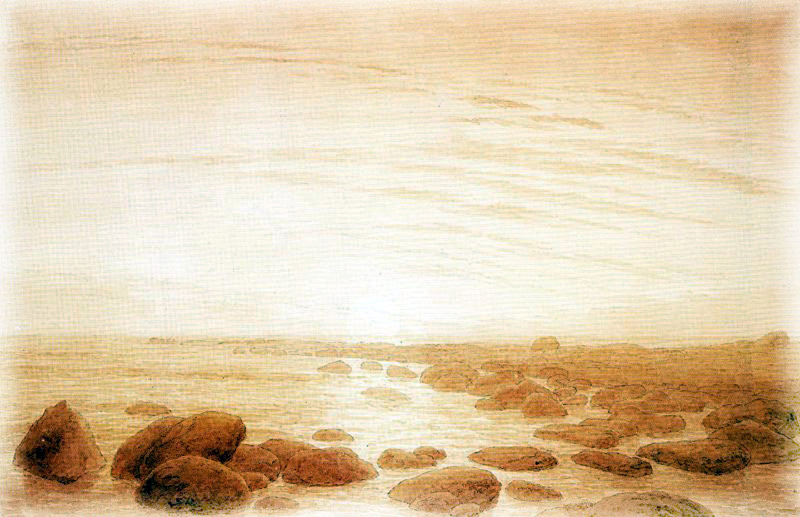 Nevertheless, Friedrich’s works influenced many Russian painters, the painters of the Hudson River School and the New England Luminists, among others. The early 20th century brought a renewed appreciation of his work; Friedrich was rediscovered and influenced the Symbolist and Surrealist painters. His work has been cited as an inspiration by other major 20th-century artists, including Mark Rothko, Gotthard Graubner, Gerhard Richter, HA Schult and Anselm Kiefer. The rarity of the images that this app provides is one of its strongest points. 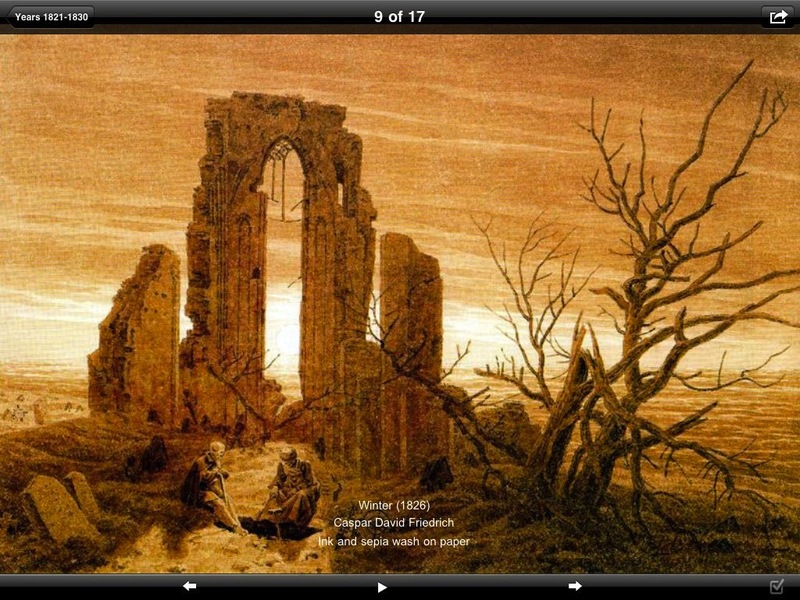 If you have always been in love with landscapes and you love to paint or take pictures of land forms, this app will definitely appeal to you as a resource. A virtual catalog that is not only a source of pleasure and enjoyment, but a great resource and a source of inspiration as well! 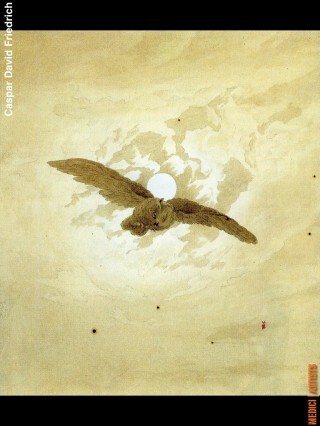 Friedrich’s talent becomes so apparent in this. For example, finding the beauty in nature in a romantic light is quite difficult. But these images are proof that the right eye can do it and do it exceptionally well. 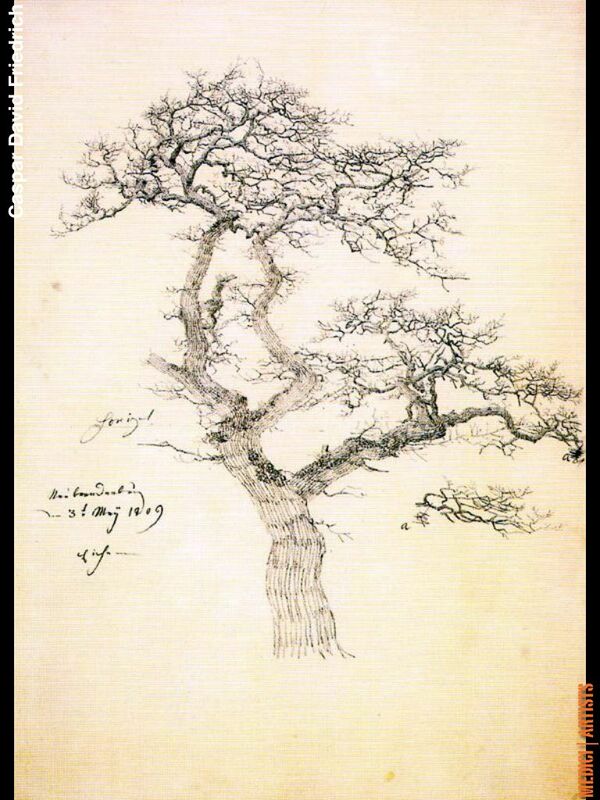 After looking at countless images, you will see why he was a genius! It’s almost as if Friedrich was a story teller, a mesmerizing one at that. It is interesting to see what kind of stories and characters have walked in these beautiful and fantastical landscapes that he did. This well organized catalog with high quality images will leave you inspired! 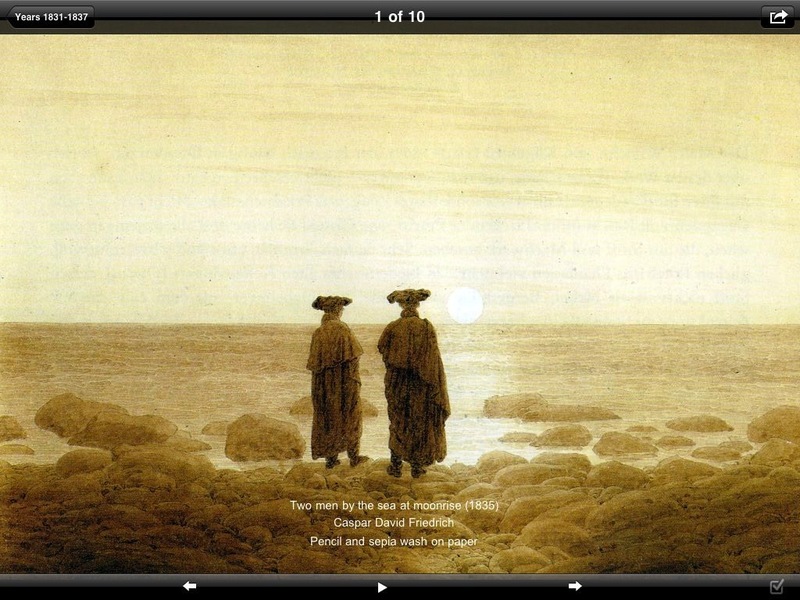 With high resolution images for your Iphone/Ipad and Friedrich’s brilliance combined, this app was destined to be a winner. Any individual that appreciates beauty will appreciate the beauty in this app. 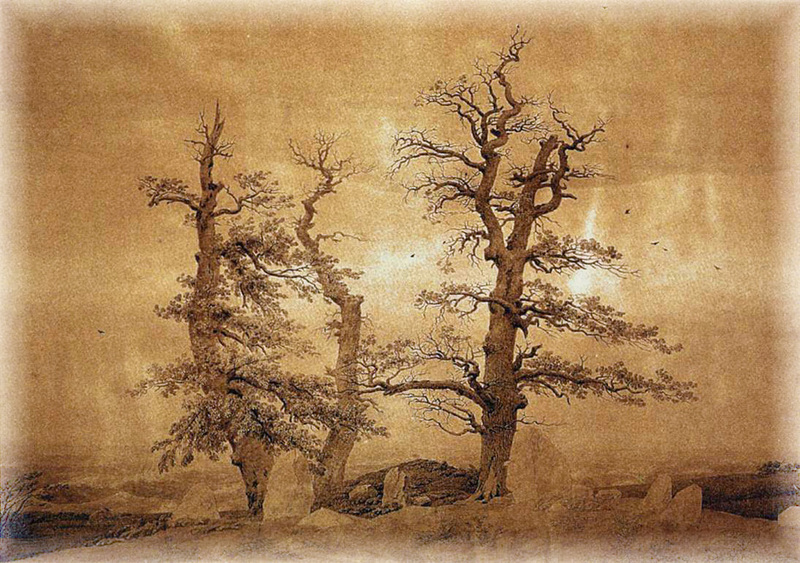 Friedrich dominates the world of landscape imaging, nothing can beat the romantic and incredible passion present in Friedrich’s work. From arctic coasts to allegorical images, you will be amazed by the kind of inspiring content and stories that are present in his works. 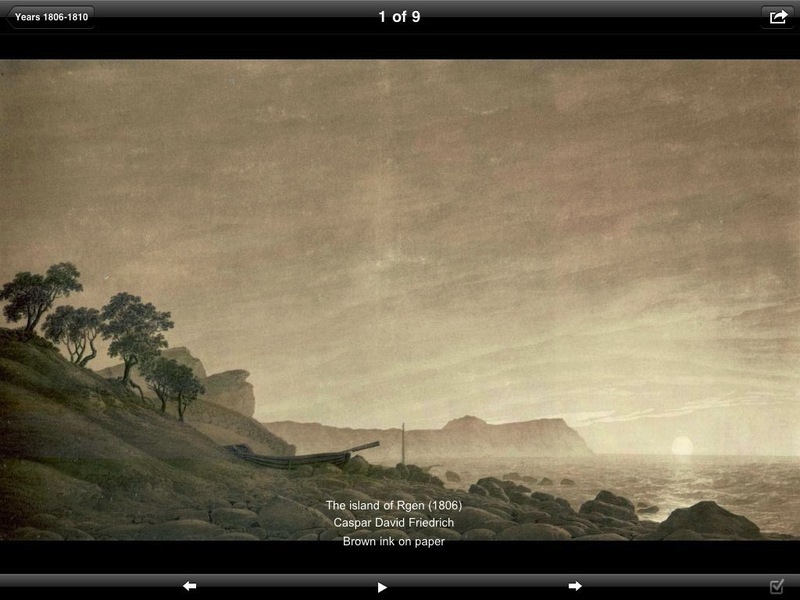 The app is full of high resolution images that always had this dark, romantic appeal as seen in his choice of settings. Countless images that you could literally examine for hours an not get bored. He was a gifted man and you should surely see why! Leave a Reply to Tina D.